New York artist Chakaia Booker’s unique sculptures are on display on the plaza and in the lobby of the Sarasota Herald-Tribune (1741 Main St, Sarasota, FL 34236) in downtown Sarasota until April 7, 2013. The sculptures are made nearly entirely of burnt and bent vehicle tires with just a bit of twisted steel. The display is part of the Herald-Tribunes’ “Conversations with Artists” program. Booker has worked in the medium of tires for more than two decades. She utilizes often overlooked grooves and surfaces of the rubber material to represent a wide assortment of metaphors satisfying her aesthetic, political, and economic concerns. Visit our Sarasota information page for additional things to do while in Sarasota. Also be sure to visit our top ten things to do in Sarasota. Sarasota is just a short 30 minute drive to the South of Anna Maria Island. Shanty Singers will be taking the stage at 11:30 AM on Saturday, February 16, 2013 along with other bands at the 31st Annual Cortez Commercial Fishing Festival! Only 10 minutes from Anna Maria Island! The event will feature plenty family fun, fresh Florida seafood, and entertainment for everyone! To learn more about the event and a full schedule of the live music and entertainment click here! Scott’s Garage will be playing at the 31st Annual Cortez Commercial Fishing Festival. Scott’s Garage take the stage at 4:00 PM on Sunday, February 17, 2013. They are the last performers and will wrap up the festival with their act so be sure not to miss it! Only 10 minutes from Anna Maria Island! You can find fresh Florida seafood, live music, and family fun galore at the 2-day festival! For a full schedule of the entertainment at the festival you can click here! Passerine will be the opening act at the 31st Annual Cortez Commercial Fishing Festival! They will be taking the stage at 10:00 AM on Saturday, February 16, 2013. Only 10 minutes from Anna Maria Island! Lots of family fun, seafood, and live music to take in at this event! For more information about the event and the other bands playing click here! Shotgun Justice will be playing at the 31st Annual Cortez Commercial Fishing Festival! They are taking the stage at 2:00 PM on Sunday, February 17, 2013. Only 10 minutes from Anna Maria Island! Live music, fresh Florida seafood, and family fun can all be found during the 2-day event in Cortez Village. The full entertainment schedule and additional information about the festival can be found by clicking here! Soupy Davis and His Band will be playing at the 31st Annual Cortez Commercial Fishing Festival. They take the stage at 10:30 AM on Sunday, February 17, 2013. Only 10 minutes from Anna Maria Island! The second day of this 2-day event will feature Soupy Davis and His Band and much more entertainment! Fresh Florida seafood, family fun, and plenty more will also be present at the festival as well! The full entertainment schedule and more can be found if you click here! 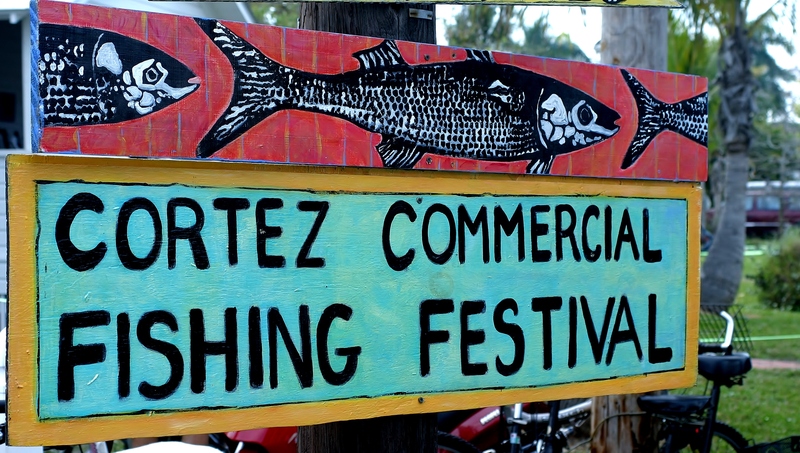 Razing Cane is playing the 31st Annual Cortez Commercial Fishing Festival! They take the stage as the first day’s closing act at 4:30 PM on Saturday, February 16, 2013. Only 10 minutes from Anna Maria Island! The festival takes place in Cortez Village just south of Anna Maria Island featuring live music, fresh Florida seafood, and fun for the whole family! To get a full schedule of entertainment click here! Soul R Coaster will be playing at the 31st Annual Cortez Commercial Fishing Festival! They will take the stage at 2:30 PM on Saturday, February 16, 2013. Only 10 minutes from Anna Maria Island! The two day festival features endless entertainment, fresh Florida seafood, and plenty of live music to satisfy all of your tastes. For more information on the event and a full entertainment schedule click here!